Each morning, instructor Stacy Cavagnaro takes time to journal, read, or watch a light-hearted TV show as a way to clear space before filling her day, and making sure to also fuel it with a balanced breakfast. Her go-to? Protein pancakes. 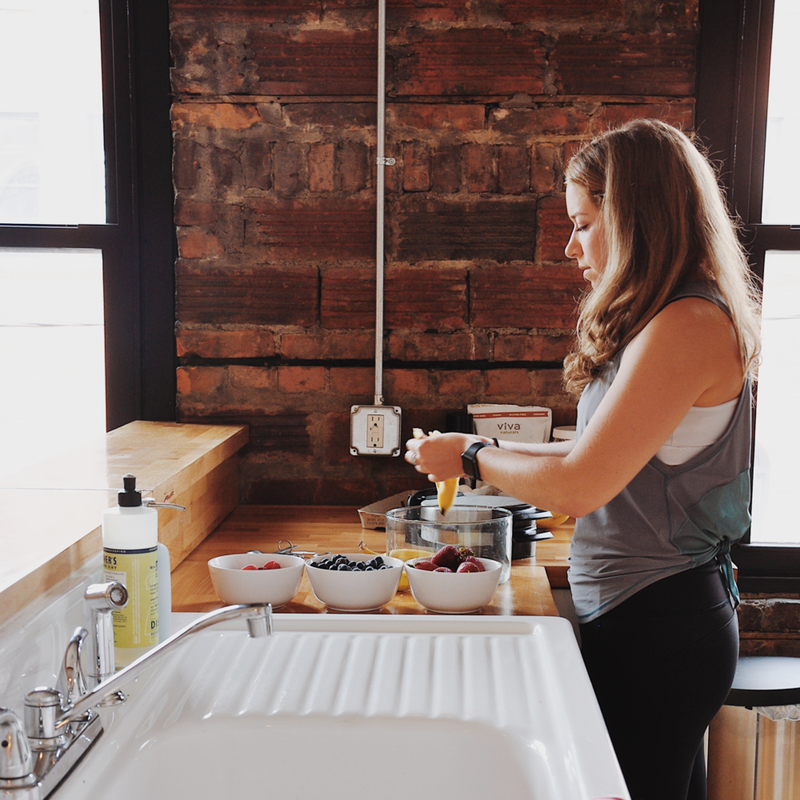 Her sweet-but-healthy recipe is high in protein, fiber, and carbohydrates to keep energy levels up during her active mornings on the bike. Prep a few batches ahead of time and freeze in zip-lock bags. Take them out of the freezer and pop them in the toaster. They can be kept in the freezer 4–6 weeks.